This year marks the 90th birthday of Disney’s mouse enduring iconic character and company mascot, Mickey Mouse. After first creating Oswald the Lucky Rabbit but losing the rights of the character to Universal, Walt Disney set to work creating a new animated character. Mickey was born and first started in the classic black and white cartoon, Steamboat Willie. But it would be many years later that Mickey and some of his other Disney chums would appear in LEGO® form. The first of which arrived in 2000, as part of the Mickey Mouse theme. These included unique Mickey figures that were a cross between current DUPLO figures and Fabuland characters. 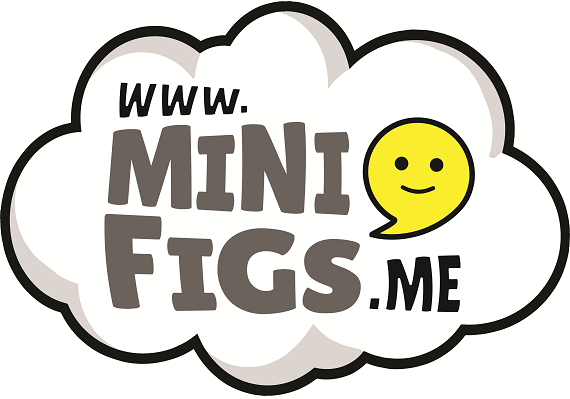 In fact the connect to Fabuland was far closer than a passing similarity to figures. Much of the sets buildings, vehicles and scenery, were directly lifted from those elements used in Fabuland sets. 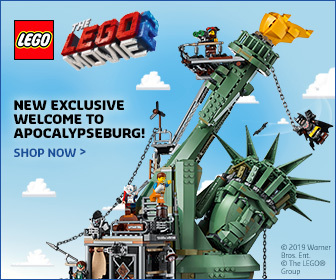 Another unique legacy of the first story driven LEGO theme. 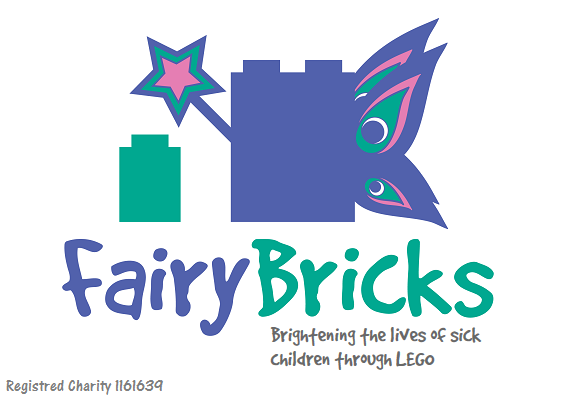 Mickey has a strong link to some of the younger LEGO brands, appearing a various sets under numerous DUPLO iterations. 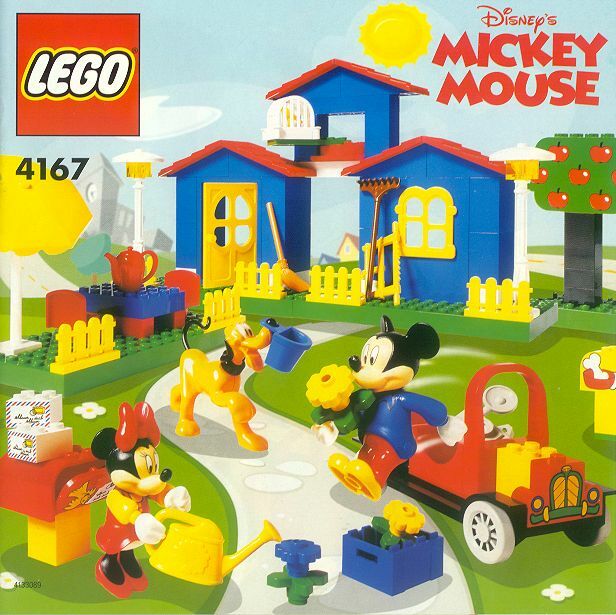 In the early 2000s Mickey appeared in brick-built form in a couple of DUPLO creative bucket sets. A few years later he would then appear in more DUPLO sets but with newer style figures, more akin to those still used today. 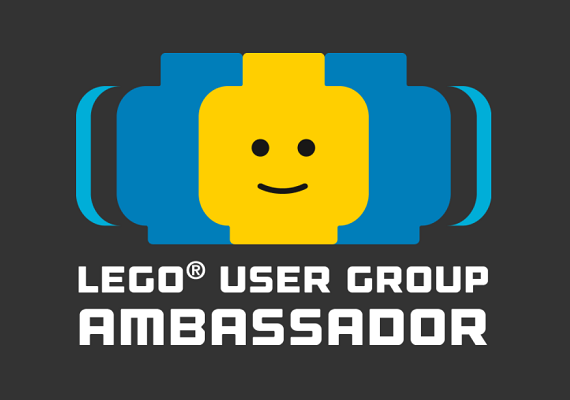 In 2016 Mickey and some of this other Disney friends made the leap to Minifigure form, in the extremely popular Disney Collectible Minifigure Series. This form of Mickey would feature a standard minifigure body along with a unique head element, which was also used to create Minnie Mouse. 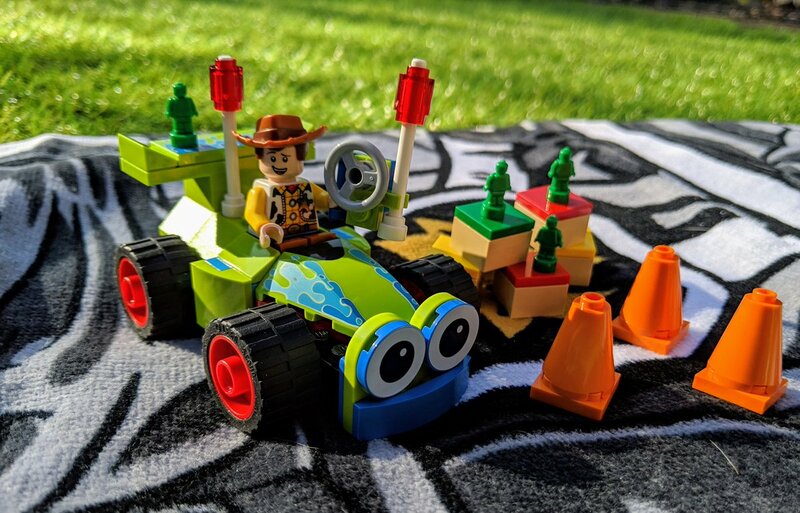 Another Minifigure Mickey would also be included in the huge Disney Castle set. As much as Mickey is connected to Disney, so too are the iconic Castles which stand in Disney parks across the world. 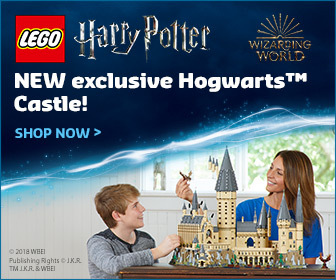 The LEGO Disney Castle set is available now. 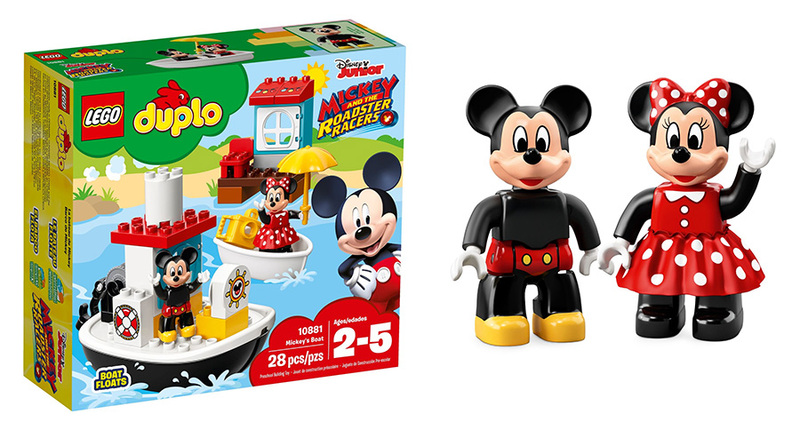 This year it would be the DUPLO theme that would honour Mickey’s heritage, with a set harking back to Mickey’s first animated outing Steamboat Willie. 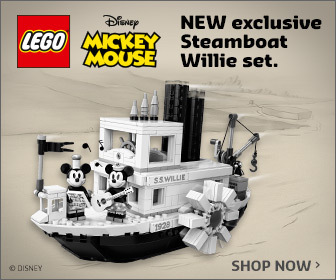 Mickey’s Boat is available now. 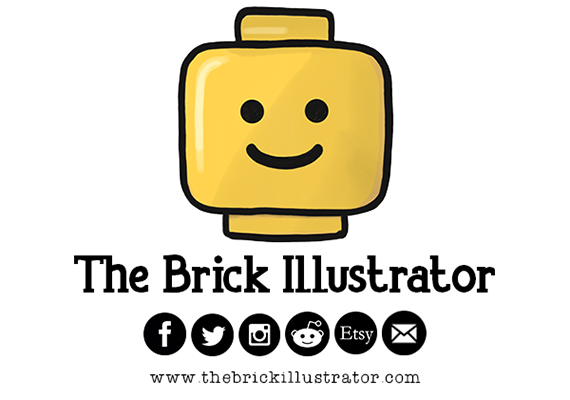 And with so many iconic characters being recreated in the BrickHeadz, it’s only fitting that Mickey would be included in the range. He is joined by Minnie to create a pair of unique Disney builds. 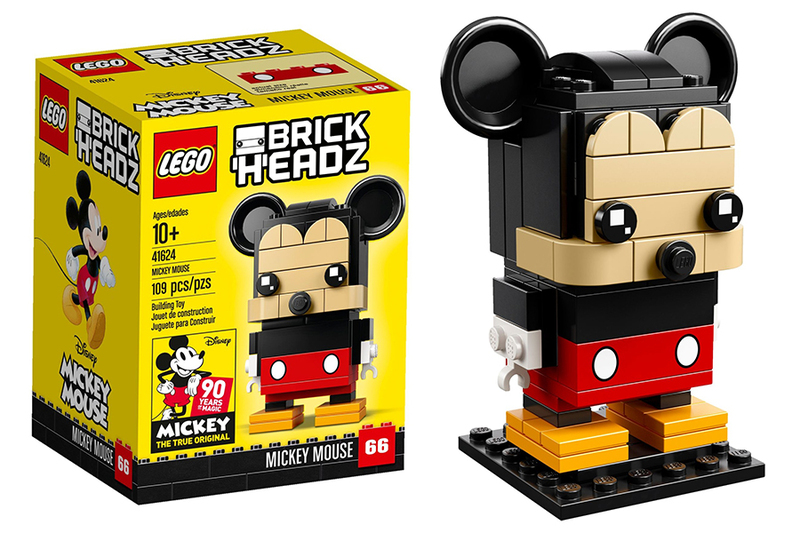 LEGO BrickHeadz Mickey Mouse is available now. 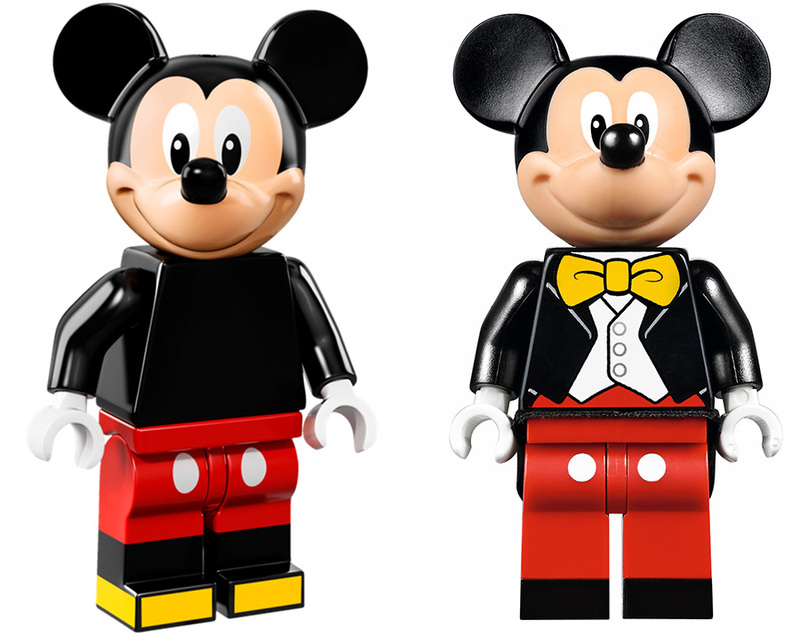 To celebrate Mickey’s 90th Birthday, LEGO have also created a ‘big build’ LEGO statue of Mickey. Made of around 8000 LEGO bricks and taking over 70 hours to design and build, this LEGO Mickey big build features the mouse with the most in his iconic pose. Mickey continues to be the true original, no matter what form he and his Disney friends appear in. 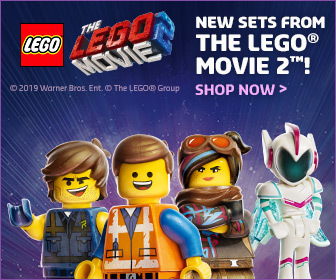 Next years it’s expected that a second series of LEGO Disney Minifigures will be released, so expect more Mickey in 2019. The 8000 piece mickey mouse statue, is this going to be available to buy and if so how much is it likely to cost?